Is It Time to Reconsider Therapeutic Coma for Refractory SE? Mortality was not changed by the use of therapeutic coma for refractory status epilepticus in the cohort of centers evaluated in this study. With the aim of comparing SE use and related outcomes across centers, researchers prospectively analyzed clinical data pertaining to 126 episodes of SE that occurred at 3 Harvard-affiliated hospitals (HAH) and 236 cases from the Centre Hospitalier Universitaire Vaudois (CHUV) in Lausanne, Switzerland. The patients were older than 16 years and similar in relevant demographic and clinical characteristics. Post-anoxic SE cases were excluded. The results show that although TC was used more often at HAH compared to CHUV (25.4% vs 9.75% of SE cases), the outcomes were similar between groups: mortality rates were 14% vs 15%, respectively, and patients’ length of stay was 10 vs 9 days. At the time of discharge from the hospital, 52% of CHUV patients and 32.6% of HAH patients had returned to their premorbid baseline. Though the findings “suggest that TC contributes to a longer length of stay without improving survival, this should be generalized with caution, as our goal is much more than survival for our patients — it is the preservation of neurologic function,” Dr Holmes noted. There remains a lack of consensus regarding key factors such as “to what degree and duration therapeutic coma should be induced — should IV anesthetics be used to achieve clinical and/or electrographic seizure-suppression, burst-suppression or an isoelectric pattern on EEG? These questions remain unanswered and often vary among providers,” she said. Clinicians at NYU Langone typically induce TC after 2 ASDs have failed, with a goal of seizure suppression for 24 hours, according to Dr Holmes. Neurology Advisor asked several other physicians in the US and Europe to weigh in on the topic as well. At Cedars-Sinai Medical Center in Los Angeles, physicians may trial 4-5 ASDs before initiating TC, reported Chrystal M. Reed MD, PhD, a neurologist at Cedars-Sinai. Nitin K. Sethi, MD, MBBS, FAAN, an assistant professor of neurology at New York-Presbyterian Hospital/Weill Cornell Medical Center, told Neurology Advisor that his group usually induces TC in a patient with refractory SE if seizures do not abort after administration of a first-line drug (typically a benzodiazepine) and a second-line drug (usually an anticonvulsant such as phenytoin, levetriacetam, or sodium valproate given intravenously). “I agree with the authors’ conclusion that every effort should be made to improve awareness and translation of SE guidelines into practice, in order to minimize underdosage of the first treatment line,” he said. Dr Sethi stated that TC should be reserved for severe refractory forms of convulsive SE, which is in line with a general consensus among the experts interviewed by Neurology Advisor, including Aleksei Rakitin, MD, a neurophysiologist at Tartu University Hospital in Estonia. This center “uses therapeutic coma usually in severe cases of status epilepticus, when the patient is already unconscious being treated in the intensive care unit,” he told Neurology Advisor. “Conscious or slightly disoriented status epilepticus patients with stable cardiac and respiratory status are treated with conventional non-sedative intravenous anticonvulsants such as phenytoin or valproic acid,” he explained, adding that randomized prospective trials are need to clarify the issue and unify treatment protocols across centers. Gregory K. Bergey, MD, a professor of neurology and director of the Johns Hopkins Epilepsy Center at Johns Hopkins University School of Medicine in Baltimore, pointed out that the morbidity and mortality of SE are closely linked with the underlying cause. For example, patients with SE resulting from medication cessation tend to fare well, and subtle SE due to out-of-hospital cardiac arrest is unlikely to benefit from aggressive treatment, he told Neurology Advisor. “There is no need to rewrite any of the new SE guidelines,” he said. Alvarez V, Lee JW, Westover MB, et al. Therapeutic coma for status epilepticus: Differing practices in a prospective multicenter study. Neurology. 2016 Sep 24. pii: 10.1212/WNL.0000000000003224. Brophy GM, Bell R, Claassen J, et al. 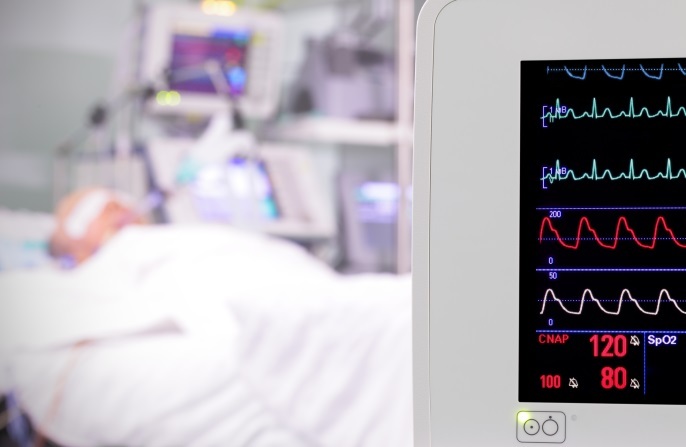 Guidelines for the evaluation and management of status epilepticus. Neurocrit Care. 2012; 17:3–23. Meierkord H, Boon P, Engelsen B, et al. EFNS guideline on the management of status epilepticus in adults. Eur J Neurol. 2010; 17:348–355. 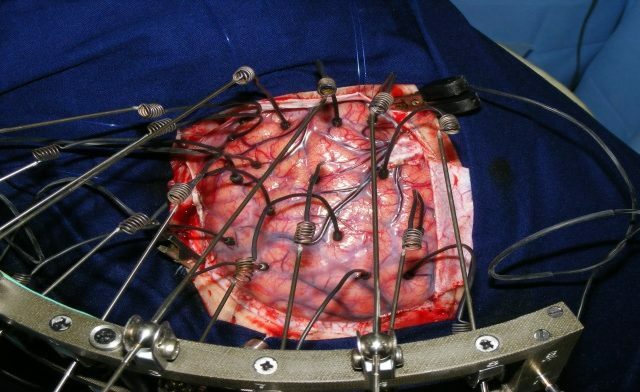 Close more info about Is It Time to Reconsider Therapeutic Coma for Refractory SE?